The Food Monitoring System facilitates the measurement of gamma radioactivity in foodstuffs. Foods that can be tested include milk, meat, fish, grain, fruit, and vegetables. 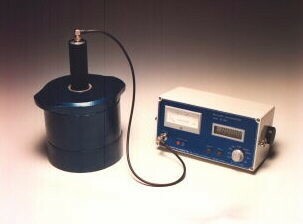 The Food Monitor's primary use is for monitoring the concentration of Iodine 131, Caesium 134, and Caesium 137 in food. It is not suitable for determining radioactive contamination due to the presence of alpha or beta emitting radionuclides. The Food Monitor is battery-operated and readily transportable to field measurement locations. (5) Cable, test source, and instruction manual.